Maintaining your CPAP equipment clean and sanitized at all times is of primordial importance. Keep in mind that you are using your mask to breathe air into your lungs, and if your mask/tubing is not properly sanitized you might ingest viruses, bacteria, and mold with every breath you take. Tubing systems are also humid environments and especially if you use a humidifier you are at higher risk of breathing in undesired pathogens if your equipment is not sanitized. You can use a mild detergent and lukewarm water to thoroughly cleanse your CPAP equipment at regular intervals, but you can opt for a much easier solution. There are many CPAP cleaning and sanitation machines available that will make your life so much easier. Typically, you only need to disassemble your CPAP parts- tubing, mask, headgear, etc.- and insert these into the cleaner unit. Then, press a button and wait for the sanitation process to start. When done, you just need to take out the equipment, assemble it and enjoy a clean and sanitized oxygen therapy each time. Two such highly popular cleaners include the Sleep 8 and the SoClean 2. Let’s check out the main properties and benefits of each cleaning unit. Sleep 8 is a highly innovative CPAP parts sanitizer. You can use it to properly sanitize any type of CPAP or BiPAP device. Use the unit in order to sanitize your mask, the tubing and even the water chamber of your device. 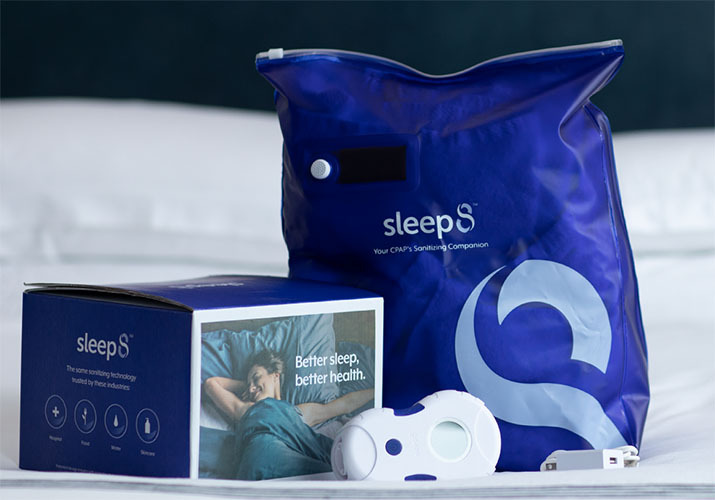 Sleep 8 features a large-sized special bag where you need to insert all the CPAP parts that you wish to sanitize. The standard kit includes the following: the Sleep 8 main unit, 1 large size sanitizing filter bag and 1 micro USB charger so that you can charge your unit even while on the go. In order to properly sterilize all your CPAP equipment, Sleep 8 uses powerful Ozone. Sleep 8 is a small and stylish sanitation unit that can easily fir in your backpack, or suitcase while traveling. From now on, you can sanitize properly all your CPAP equipment without the use of harsh detergents or without spending extra on cleansing solutions. You can use Sleep 8 to sanitize both heated and non-heated tubing systems. You do not need any special adapters, and you get top quality sanitation with just one click. Sleep 8 sanitizes using the power of pure Oxygen- by generating Ozone. The main unit of the Sleep 8 features a screen where you can track different details such as the battery information, time left until sanitation is complete, or the “FAN” icon which is a pulsating icon suggesting that the sanitation process is in progress. Sleep 8 is very intuitive, and even first time users will find it easy to use. Ensure to sanitize your CPAP equipment even on a daily basis if needed, because pathogens and bacteria multiply very fast within humid environments. Especially if you are using a humidifier, it is highly recommended to sanitize your CPAP equipment even more frequently. Sanitizes other items as well- children’s toys, dental appliances, etc. SoClean 2 is an automated CPAP cleaner and sanitizer. You can use the SoClean 2 to clean and sanitize different parts of your CPAP equipment such as the tubing, mask, or the humidifier chamber without actually disassembling anything. 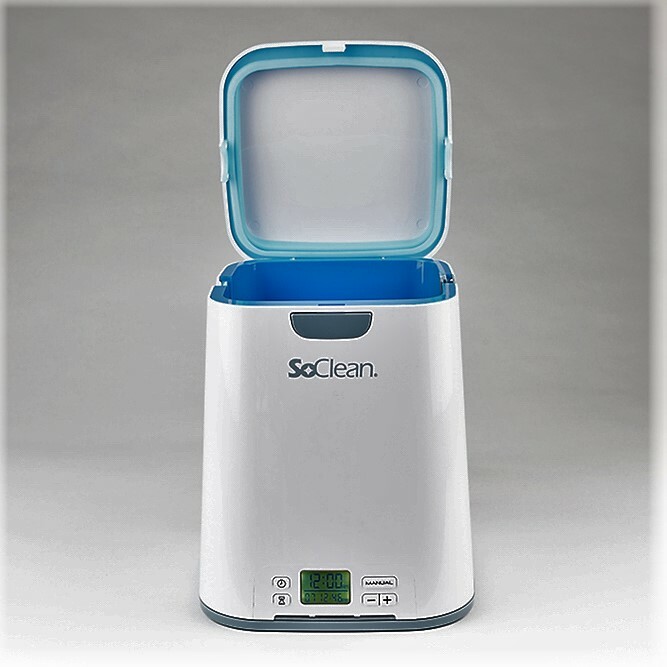 You do not have to use water or any detergent to sanitize your equipment using the So Clean 2. SoClean 2 comes with a sleek and stylish design, fitting well into any environment. It comes with a smaller footprint than its predecessor, and the unit also has a front display with different icons showing you battery life, sanitation progress, and other such details. You also have a left or right hose insertion option for more convenient use, and an easy filter cartridge system. The machine comes with a 2-year warranty offered by the manufacturer. SoClean 2 is capable of destroying up to 99.9% of all the pathogens, germs, bacteria and molds. With this unit, you will truly get the peace of mind you need that each time you get a perfectly clean and sanitized CPAP equipment. It is also a fully automated cleaner, which means that you only need to push the start button and let the machine perform its job. There is no need to take apart your equipment, and there I no need to use water or harsh chemicals. So Clean 2 uses the same type of sanitation used in hospital environments, hotels or water purification systems. 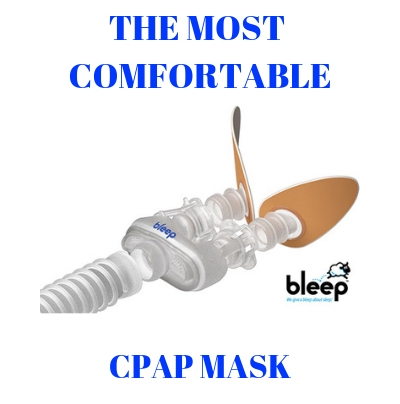 The SoClean interior chamber was specifically designed to accommodate different types of masks such as full CPAP masks or nasal pillow masks. You only need an adapter for a few models of CPAP units with a heated humidifier. These include the Fisher & Paykel 600 series, Fisher & Paykel Icon Heated Hose Adapter, Philips Respironics System One 60, and S9 Climate Line Heated Hose Adapter. Both So Clean 2 and Sleep 8 are automated CPAP cleaners and sanitizers, with the main difference that for the So Clean machine you need to use a special adapter for some CPAP models. Also, Sleep 8 comes with a universal filter bag, while So Clean 2 has a universal chamber that accommodates all different types and sizes of masks and CPAP equipment.